We'll dance, sing & play, the Gymboree Way! Join us for a special day. 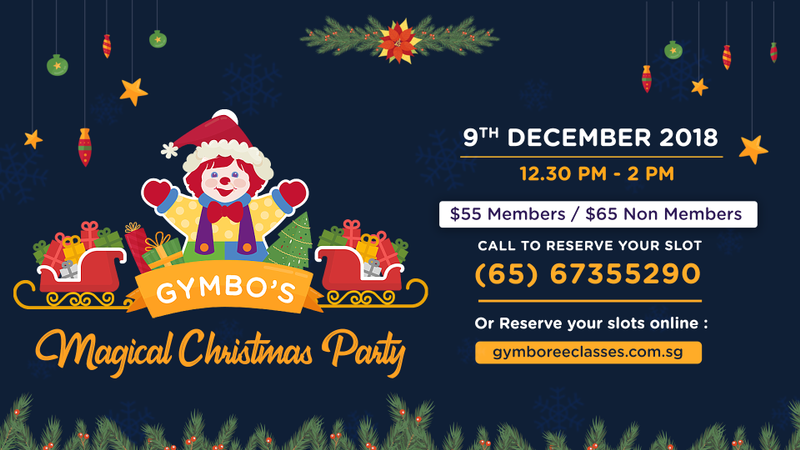 Together, let's have an afternoon of fun and games as we pretend play in the snow, ice skates & go on a thrilling sleigh ride at Gymbo’s Magical Party. Enjoy the music and dance, indulge in a festive lunch & create a special winter art project. Limited slots. Call us on (65) 6735529.